Wednesday, we had a scheduling issue that left BHo with no one to watch him. I was rewarded with an all-too-rare opportunity to have a full day with just him and me, to go out and do things that dads and six-year-old kids do. One thing we did was set up a new television stand so we could carve out a place for the Wii that has been sitting unopened in its box for several months now. Is it just me, or do other people get discouraged when they're an hour into assembling a giant piece of pressed wood furniture, and there's still so many panels and little screws that it doesn't look like they've made a dent? I also manage to put at least one piece together upside down and have to take out like 100 screws to make it right. Anyway, we also made a field trip to Vintage Vettes, L.L.C. in North Kansas City. I had never been there before. I actually just learned it was there recently. But the website looked like something I needed to be a part of. And I'll tell you what, the website was right. There was some awfully cool stuff in there if you love Corvettes. It was also a grim reminder of how little money I make, and how as I follow what seems to be my destiny, I will never own anything in that place. What I really enjoyed most about that trip was watching BHo, though. He's been around old cars enough that he knows how to behave around them. And he's observant enough that he's already beginning to appreciate them. My dad has a white '61 Corvette, and there was a white '62 sitting in there that looked pretty similar. I asked BHo who that car reminded him of, and he immediately said, "Grandpa!' Then I asked him what was different about this one, and he correctly started pointing out a few little trim and molding changes that set the two years apart. Not bad. We don't really have the exact same taste in cars, though. 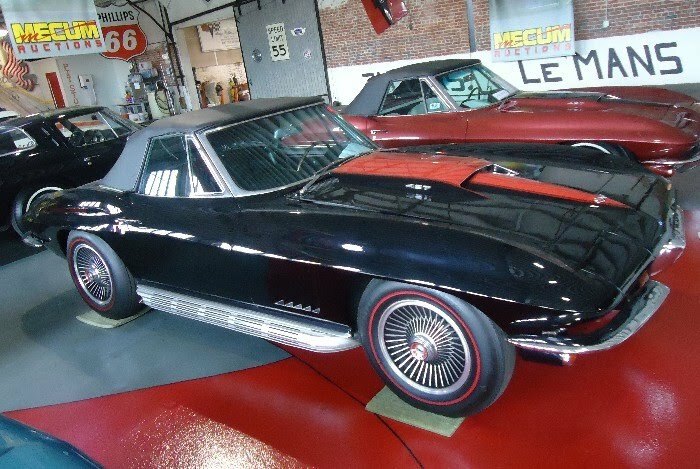 There was a black '67 Convertible in there with a 427, red stinger, knock-off wheels, and sidepipes. It was a hell of a thing. I've often daydreamed that that very car would be sitting in my gigantic garage between my '68 Impala SS 427 and my new ZR1. I wanted to lick it, but I thought I might set off an alarm. 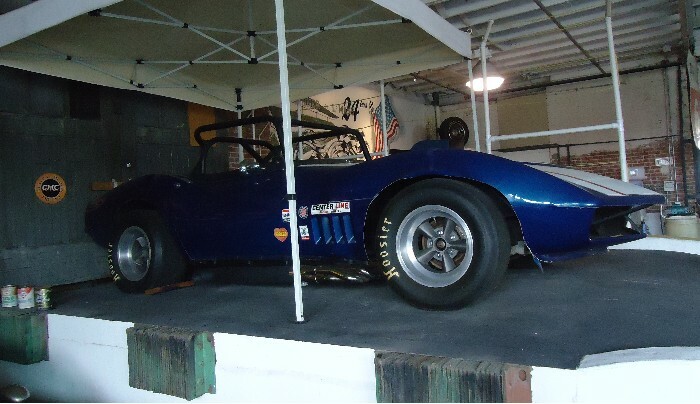 Meanwhile, there was what looked to me to be a ratty old '68 Corvette race car. I don't think it had any provenance. I guess it is approved to run in SCCA events. It had a big, honkin' roll bar. That was BHo's favorite. Of course, I said something stupid like, "Why would you want that thing? You can't even drive it on the street." I frequently try to smash his little dreams with misplaced grownup practicality. "Because it's a race car, not a street car." "So just don't push down on the gas so hard when you're not on a race track!" I have to say, that sounds like pretty sound logic to me. When we got home, BHo said going to the Corvette place was his favorite thing he did all day. Of course, that lasted about as long as it took to get the Wii fired up.